Need a Stable Door price? Build your free quote today. Our uPVC stable doors provide a multi-functional design that is highly versatile, flexible and durable – perfect for a variety of homes in Southampton. If you have a traditional style property, a stable door will fit in beautifully as they offer attractive charm and character. Alternatively, if you live in a more contemporary property our stable doors can make a highly practical back door option that offers impressive levels of performance. Stable doors are available in a variety of attractive colours and finishes, as well as a selection of glazing options and hardware to complement each door. The classic and sophisticated White uPVC is a highly popular choice but if you fancy really putting your own stamp on your new stable door opt for a Light Grey, Basalt or Dark Blue. Our glazing options from Pilkington are available in a variety of obscure glass, clear glass or decorative glass options. If your new stable door is overlooked then obscure glass is a great option as you can enhance your privacy without compromising on light. Looking for stable doors in Hampshire and need a price? Double Glazing On The Web can help. We provide instant online prices for stable doors as well as offering free, no obligation quotes from trusted local companies in Hampshire. 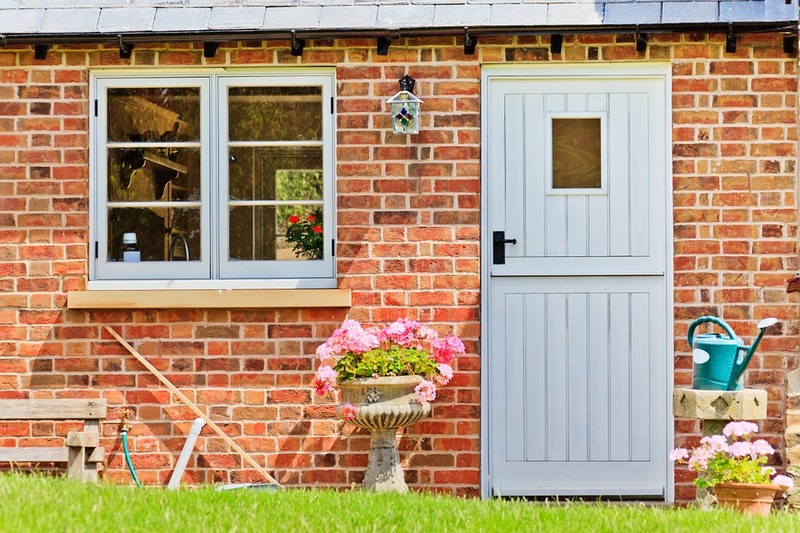 If you are looking for stable doors in Portsmouth, Southampton, Eastleigh, The New Forest, Winchester or Basingstoke then we can put you in touch with the very best. Upgrade your new stable door to include a tilt function that allows you to enjoy the ultimate flexibility of operation. The sashes disengage so you can open the top half of the door separately from the bottom for controlled ventilation. Coupled together, the stable door operates as a normal solid door but you can also keep the bottom half locked and open the top. Our uPVC stable doors are fitted with high security locking systems as standard for your peace of mind. Drip bars are fitted to both sashes of each stable door as standard in order to prevent water ingress from occurring. You can choose from low threshold and wheelchair options on all of our stable doors for easy access to your property.